Deu 13:8 you shall not yield to him or listen to him, nor shall your eye pity him, nor shall you spare him, nor shall you conceal him. I wanted to talk some more in this post about this remarkable passage of Scripture found here in Deuteronomy 13. We know that “cover up” is all around us. We see it in the news constantly. Cover up. Pull the covers over the thing. Get it out of sight. Conceal the crime. …their evil is not to be concealed. There it is. Cover up. Covering up evil, hiding the wickedness of the lawbreaker is forbidden by the Lord. We have seen a clear example of this concealing in the recent case of Tom Chantry whose trial for assault and sexual molestation of children just came to a conclusion (for now at least. He is going to be tried again on several charges). In the course of this trial, the leaders of ARBCA were revealed as concealers of Chantry’s evil. They covered for him. For many years. Co-dependent relationships are still another example of cover up. A parent excuses, rescues, hides, protects a wicked child from the consequences of their wickedness. 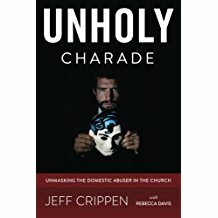 Local churches refuse to expose an evil-doer among them (as in 1 Corinthians 5), covering up the guilty entirely or minimizing the crime. Why? Why the cover up? You can understand a wicked person concealing his/her own crime in order to escape punishment. But why do other people cover for the wicked? Refuse to call the police. Tell the victim to never speak of such things again. Twist and pervert the idea of “forgiveness” and thereby announce “it’s all been taken care of,” and then behaving as if the crime never happened. You know how this goes. Misguided pity. Feeling sorry for the wicked. Yielding to his “crocodile tears” and feigned repentance. So his evil is covered up. Poor fellow. He said he is sorry you know. A sociopath/narcissist loves this stuff. He goes away laughing at those fools who let him off the hook. They yielded to him. They pitied him. They disobeyed God’s command! The fear of the Lord is a necessary mark of the genuine Christian. We fear Him with reverential awe. We know that our God is a consuming fire who is not mocked. Ananias and his wife did not fear the Lord. But the Lord exposed their secret sin. The cover up was short-lived and the result was that all greatly feared the Holy One of Israel. It turns out that He is the same yesterday, today, and forever. The New Covenant in Christ had not changed God’s holiness. Counterfeit Christians do not like a God who is to be feared. And so they introduce grace on steroids. Mercy. Love. Forgiveness. No need to fear. That is the thing they want. A “church” where you can sin without repentance, habitually, and still have your on the way to heaven ticked punched. And so, the cover up. Churches that cover for the wicked are not churches at all. They are gatherings of whitewashed tombs who cover up their own evil by covering up the evil of others. They persecute those who truly do hunger and thirst for righteousness and cast them out. ‹ PreviousWhy is Our Default Tendency to Focus on “Fixing” the Evil Person Rather than Helping His Victim?